Coaching managers, delivering team results. Sales Managers will often find themselves promoted to a senior position based on individual performance and without the necessary leadership and performance management training. However, when sales managers coach their team effectively the results are often spectacular. Management Coaching Skills helps sales managers understand and apply the power of coaching to encourage salespeople to perform at a higher level. Effective sales coaching improves sales outcomes, customer experience and employee retention. There are very few other interventions that have the same impact. Developmental – growth and learning opportunities. 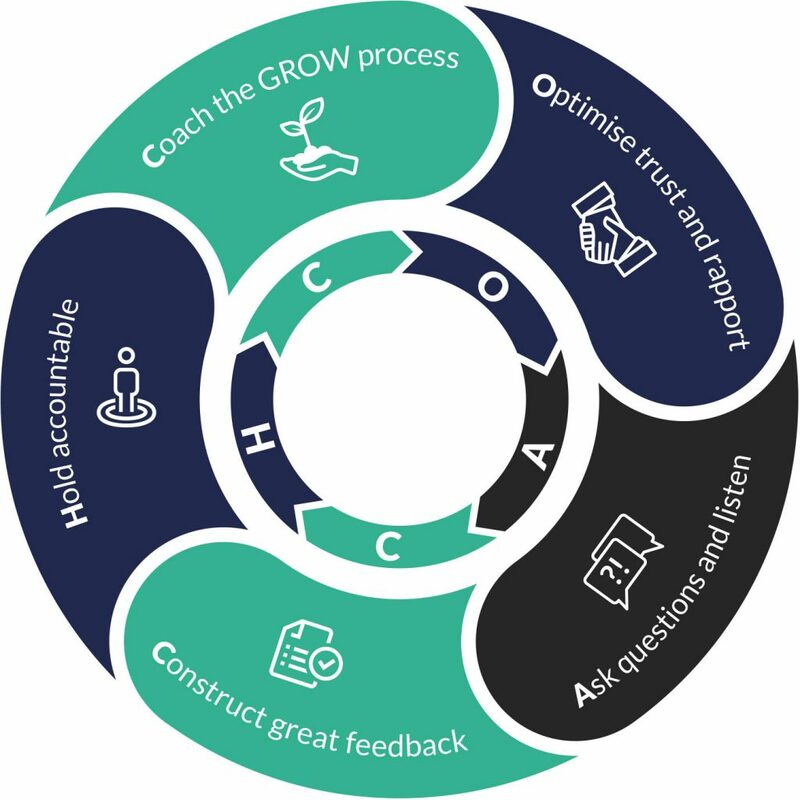 By understanding and using the COACH framework, sales managers can achieve sales performance improvements in their team that are simply not achievable without effective coaching. Prepare effectively for every sales person interaction to demonstrate credibility and an understanding of the salesperson’s issues. Challenge the salesperson’s thinking in a way that creates trust. Communicate effectively to positively influence the sales person and other team members. Build stronger, more trust based relationships. Understand how to have challenging conversations that deliver better outcomes. Improve retention and engagement of high performers. Management Coaching is right for any member of your sales management team for whom leveraging the effectiveness of a sales team is an important part of what they do. We can also provide a similar programme for other members of the management team. Management Coaching Skills consists of a series of modules that can be tailored to the specific needs of any organisation. We use simulated coaching sessions interactions to deliver insights into how coaching can quickly improve performance. Delegates will also be involved in ‘real world’ planning sessions to ensure that the new skills become embedded and that you achieve short and long-term sales improvements. Blended e-learning and live programmes. "The coaching is brought to life and is of the highest quality. Everything feels tailor made."